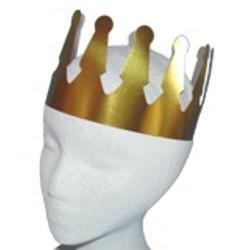 Main Category: Wholesale Carnival Hats | Sub Category: Prizes | Hayes Specialties Corp.
Be a king or queen for a day with these gold foil adjustable crowns. Each crown measures 23.5 inches long and 3.75 inches tall. These are great party favors.